In addition to suckers, I always look to see what—if anything—these authors had to say about some of my other favorites, such as gar and bowfin. As toothy predators from the time before trout, gar and bowfin are easy targets for insults. Like suckers, they are almost never mentioned at all—except in scientific books. 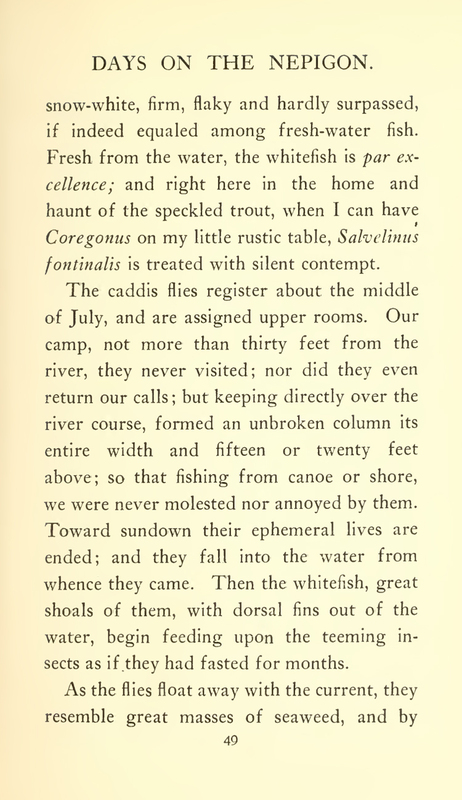 I think I’ve found mention of bowfin in only one or two old collections of fishing stories, and I don’t think I’ve ever seen any mention of gar in any old book about fishing. The scientific books are more fertile ground. 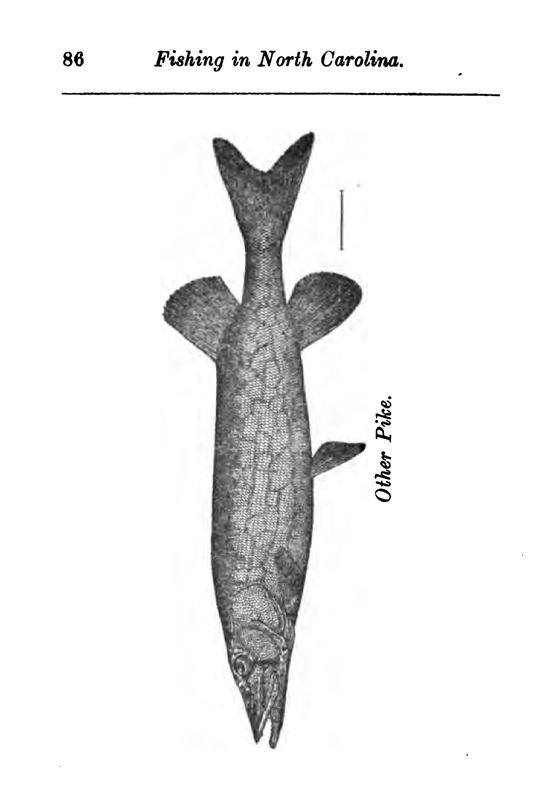 Any half decent scientific work of any age that covers the fishes of North America has to include the undesirables I’m looking for, if only briefly, and they usually do it without much entertainment value. 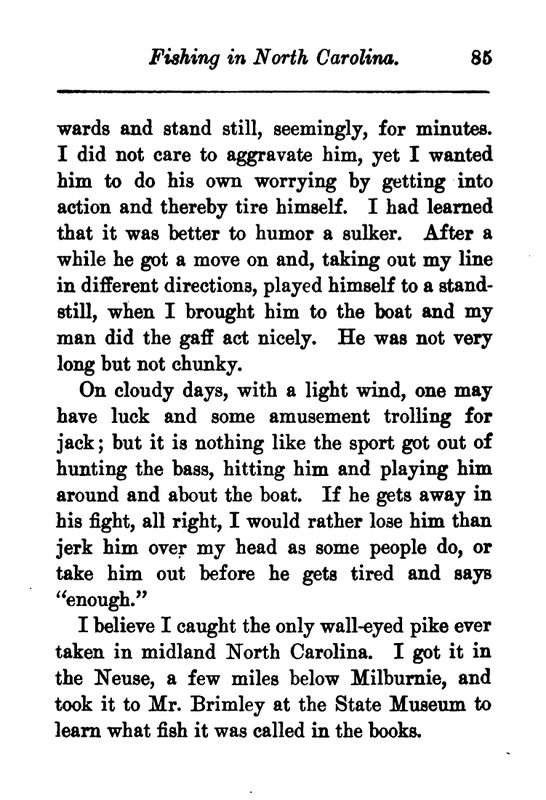 The most entertaining prose, unsurprisingly, tends to be in the non-scientific works (see below). When an author—popular or scientific—feels the need to go beyond simply ridiculing a fish for not being a trout or bass, the usual course is to blame them for harming other, more desirable, species (and it doesn’t matter whether the accusations have merit). Suckers are maligned as mud-eaters lacking esthetic or commercial value, but are also be blamed for eating the eggs of trout and walleye. Gar, bowfin and other predatory fish (other than trout) are blamed for gorging on whatever species are most profitable in a given body of water, be it trout or walleye. 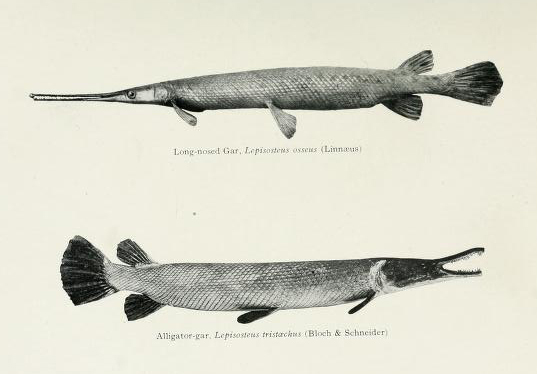 [p. 31] The gars are voracious fishes, feeding to a considerable extent on the young of other species. They have no appreciable commercial value, and are treated as a nuisance and a pest by all interested in the fisheries…. The gar approaches its prey stealthily, and its attack is instantaneous and usually successful. [p. 32] This voracious, active, and well-protected fish is a notable winner in the long struggle for existence which its species has maintained, but it is a wholly worthless and destructive nuisance in its relations to mankind. It is the enemy of practically all the other fishes in our waters, and so far as it eats anything but fishes, it subtracts from the food supply of the more valuable kinds. It has, in fact, all the vices and none of the virtues of a predaceous fish. On the other hand, it is preyed upon by nothing that swims, and is so well adapted to the varied features and vicissitudes of its habitat that it is proof against any but the most extraordinary occurrences. [p. 34] They are…almost universally thrown away by fishermen, and by most their destruction is rightly sought by all means that offer. 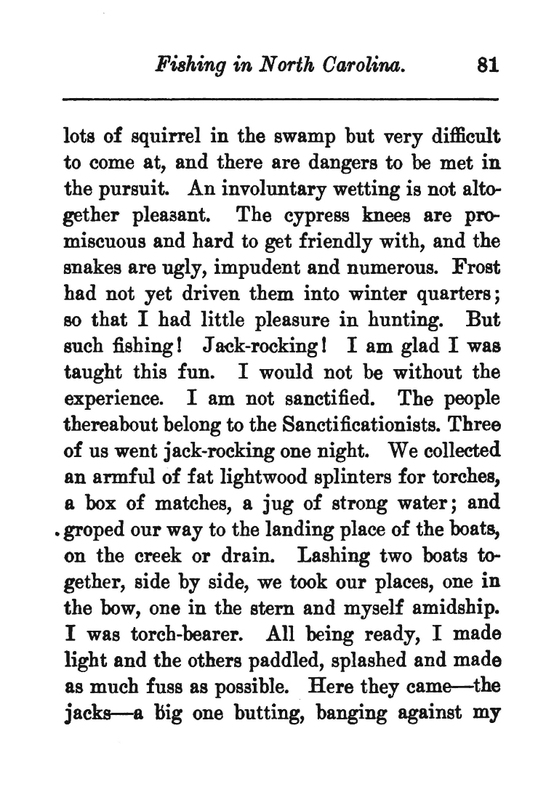 [p.39] The teeth of the dogfish are sharp and strong and it is exceedingly voracious and savage, feeding upon any animals that come within its reach—chiefly fish, crawfish, and mollusks. 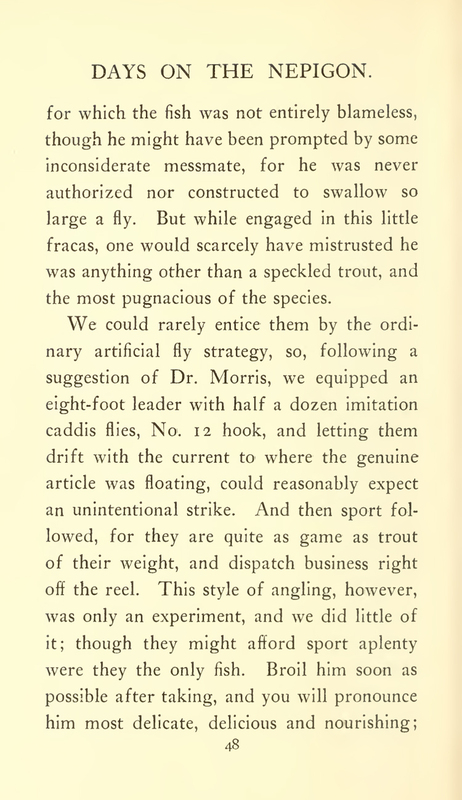 [p. 41] The hardiness of [the bowfin] and its willing endurance of conditions fatal to most species give it a predominance in our waters, which, combined with its numbers, activity, voracity, and wide range of food, make it, on the whole, a dangerous and destructive enemy to our fisheries. The time will doubtless come when thoroughgoing measures will be taken to keep down to the lowest practicable limit the dogfish and the gars—as useless and destructive in our productive waters as wolves and foxes formerly were in our pastures and poultry-yards. Like most roughfish enthusiasts, and particularly those of us whose deviance inclines toward disgusting bottom feeders like suckers and murderous villains like gar and bowfin, I have become accustomed to such attitudes and even take pride in living my life on the wrong side of the tracks. In fishing, as in music (and other, less important, facets of culture), the most interesting and exciting stuff usually comes from this side of town. I like fishing for trout and salmon. They’re beautiful and often challenging fish and I hope to catch many more of them in beautiful settings around the world. If it were to come down to making a final and binding choice, however, I wouldn’t hesitate. I’ll take Howlin’ Wolf and Chuck Berry. The trout crowd can have Buddy Holly and Elvis. The point toward which everything above has been wandering is this: my interest in the rougher neighborhood has kept me from seeing some unexpected attitudes toward “game” fish. 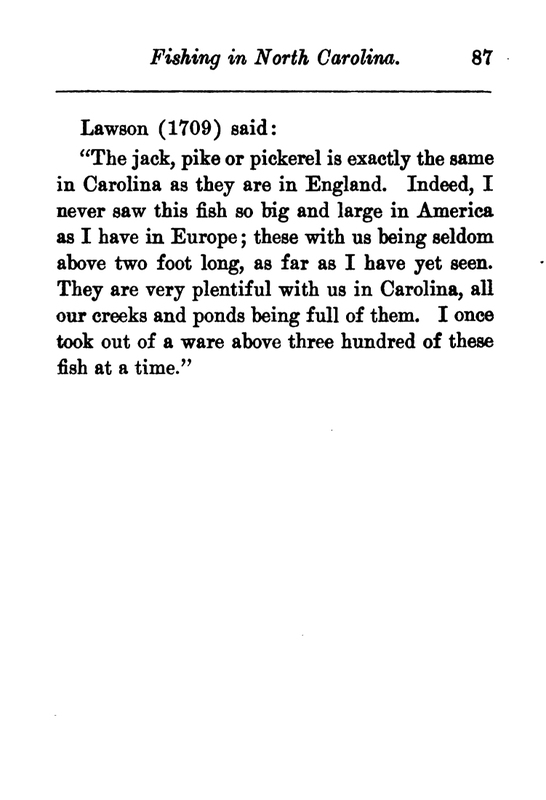 Until recently, it had never occurred to me to see what the authors of old fish and fishing books had to say about other toothy fish. There’s no need to research what they thought of trout, as I’ve never seen an unkind word, and bass are usually lauded (except when being compared to trout). 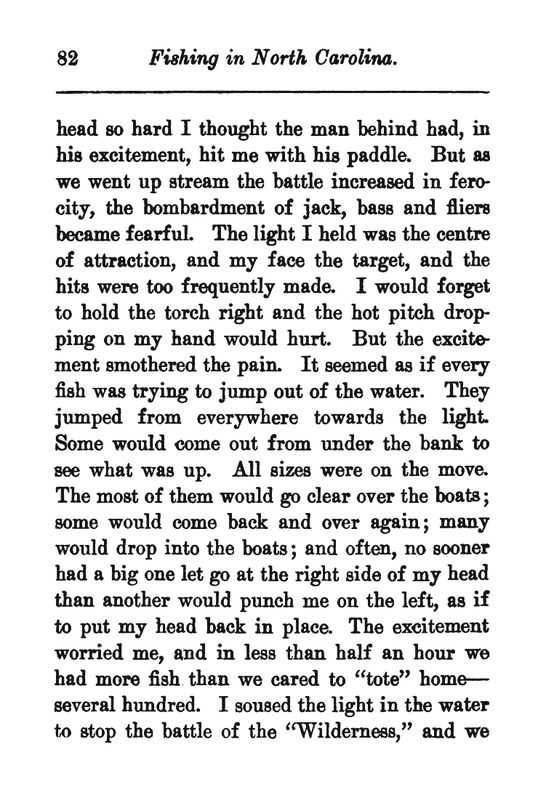 I assumed pike and muskies had always been held in the same esteem as today, particularly since pike fishing has been a respectable pursuit in Britain and Europe for centuries. The modern cult of walleye is so pervasive, and my interest in them so slight, that I have rarely even glanced at their chapter in any book. That has changed. [pp. 43-45] The pike is the prototype of the highwayman. He is lacking courage to invade the rapid, turbulent water, and seek honest employment there. His principal occupation is lying in ambush among the quiet reaches near shore and at opportune times levying merciless tribute on every unsuspecting victim that happens along. Among the useful, harmless minnows he is fierce as a dragon, though naturally a pusillanimous sneak, the embodiment of pure cussedness, a confidence man, always watching for something easy. The Indians net great quantities for dog meat. They net him, spear him, pitch-fork him, so he can make room for a better species. 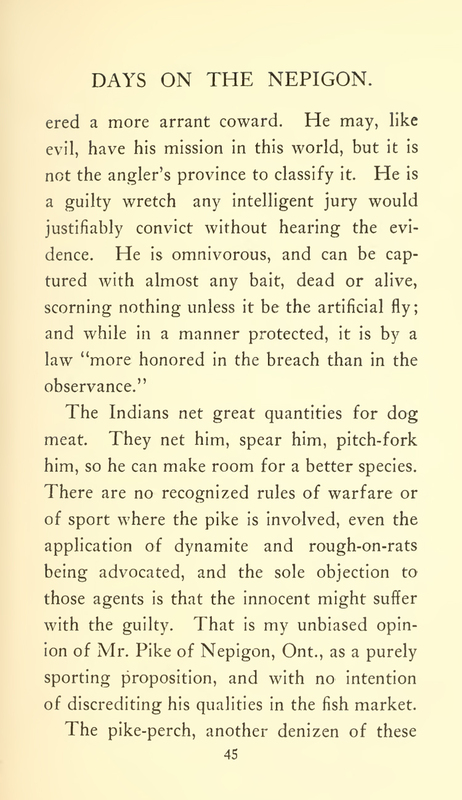 There are no recognized rules of warfare or of sport where the pike is involved, even the application of dynamite and rough-on-rats being advocated.… That is my unbiased opinion of Mr. Pike. 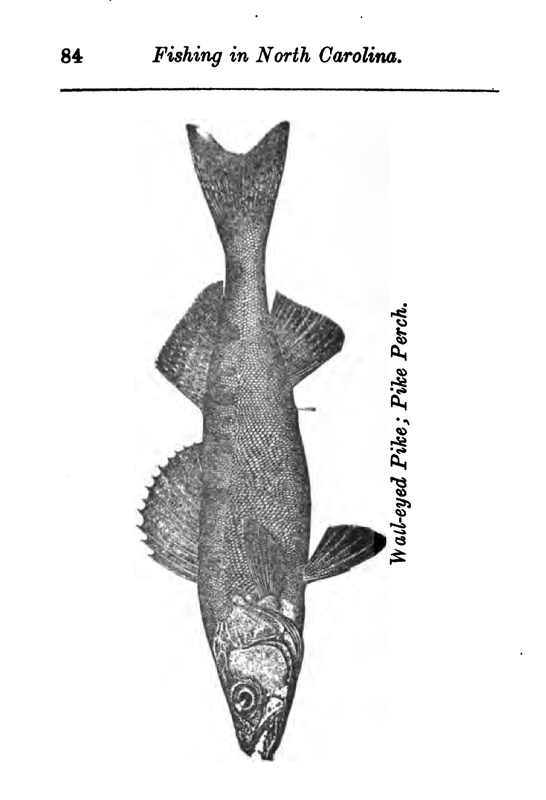 [p. 46] the wall-eyed pike, possesses many characteristics of the pike, though being a great improvement on him and quite a king by comparison.… He also is rarely caught in the swish and roar of the white caps, much preferring the weeds; and having no commendable fighting qualities, he quickly displays the yellow streak and is easily landed. 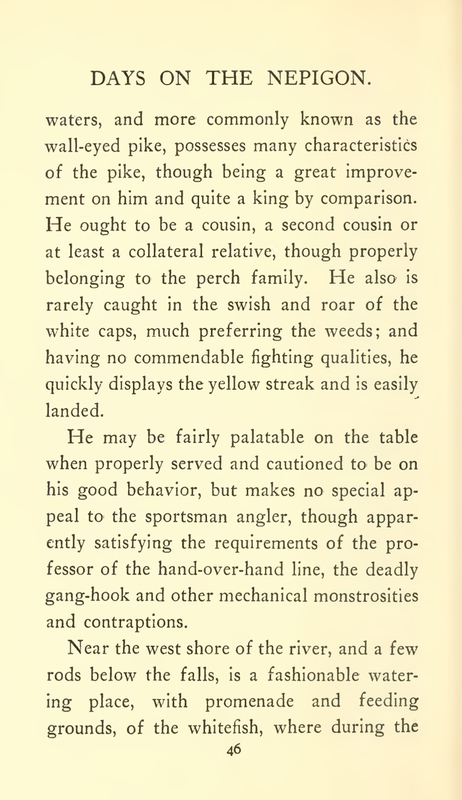 He may be fairly palatable on the table when properly served and cautioned to be on his good behavior, but makes no special appeal to the sportsman angler, though apparently satisfying the requirements of the professor of the hand-over-hand line, the deadly gang-hook and other mechanical monstrosities and contraptions. [p. 77] I shall class this fish as game, although ”butcher” would be a more appropriate name, because, if a large one, he will often feed when not hungry nor too lazy, and will sulk when hooked. 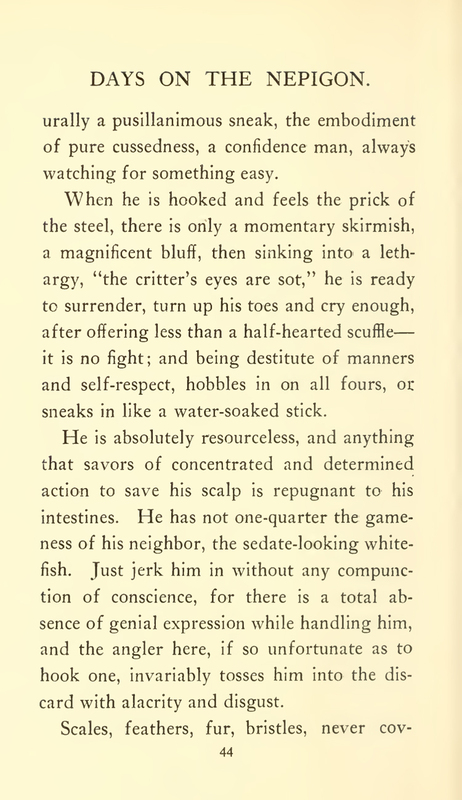 He is cruel, lazy, foolish, omnivorous; and the most inquisitive fish that swims in fresh water. 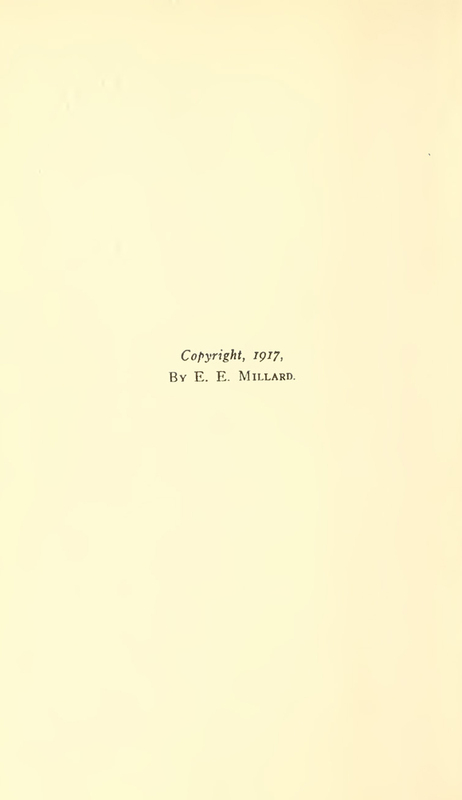 [p. 78] All varieties will readily take artificial bait, in trolling or dibbling, and will greedily attack any live bait, such as small fish, frog, bug, bird or fly. In fact, any moving object will be looked into, whether red rag, white pork, tin cup or painted cork. His fancy requires no tickling with dainty things so long as the object is on the move—he only insists on the delusive pleasure of believing that the bait is alive, and he will rush it. 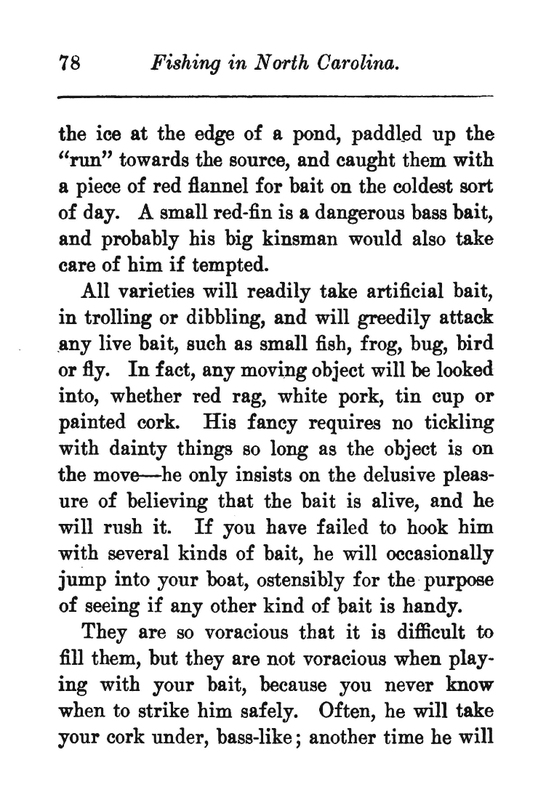 If you have failed to hook him with several kinds of bait, he will occasionally jump into your boat, ostensibly for the purpose of seeing if any other kind of bait is handy. 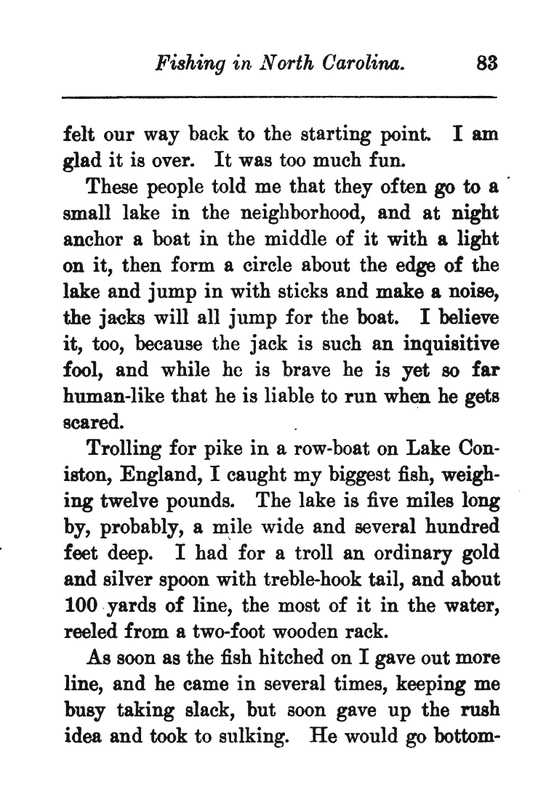 Are there trout, bass or walleye fishers out there today who think of the pike as Dockery and Millard did a century ago? I wouldn’t be surprised (though I would be shocked if they could write about it in as entertaining a manner as Millard). 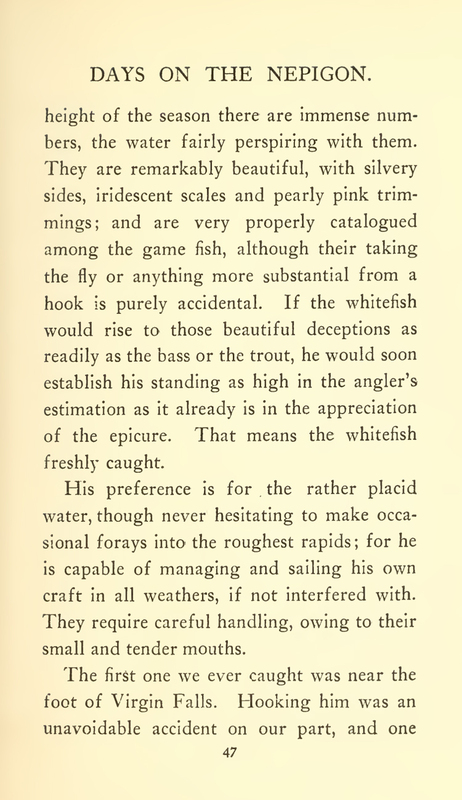 I have to revisit the many old books I’ve consulted and see what other authors said about the pike and walleye. If pike and walleye, two of the most popular targets for angling and advertising today, were once commonly disdained, I have no doubt that gar, bowfin, suckers and other reviled native species will one day be widely seen as worthy of pursuit and conservation. Perhaps the walleye will end up being demoted and will not be stocked heavily in waters where it does not belong. It is just a bottom feeder, after all, and everyone knows bottom feeders are nasty. 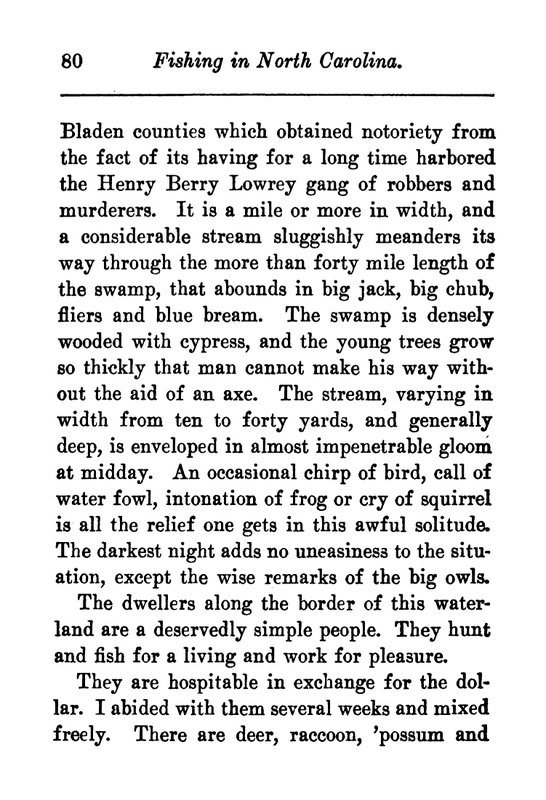 [p. 207] This noble fish, completely and almost ideally equipped for the predatory life, has now nearly disappeared from the larger and muddier streams of Illinois. 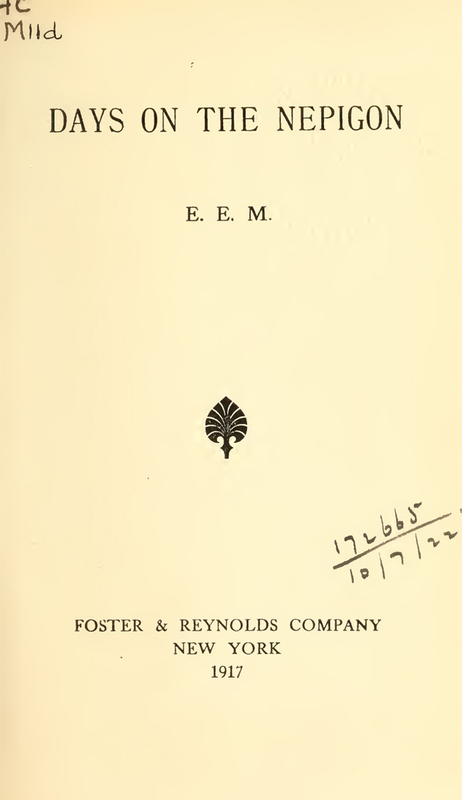 [p. 208] It is a strong and active swimmer, extremely voracious, and with senses remarkably acute. It launches itself like an arrow upon its prey, seldom missing its aim, and fighting courageously with others of its kind, It is purely carnivorous, its food consisting of fishes among which we have noticed sunfish and black bass, together with frogs, crawfishes, and the larger insects. 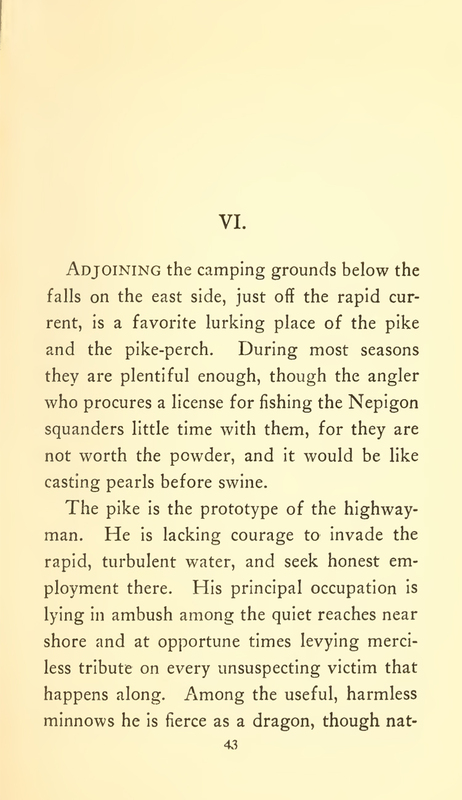 Mice, reptiles, and young ducks have been reported by various authors to have been taken from the stomachs of pike. [p.209] The voracity of this fish and its inferior quality as food have led to attempts at its destruction in Europe and in parts of Canada. 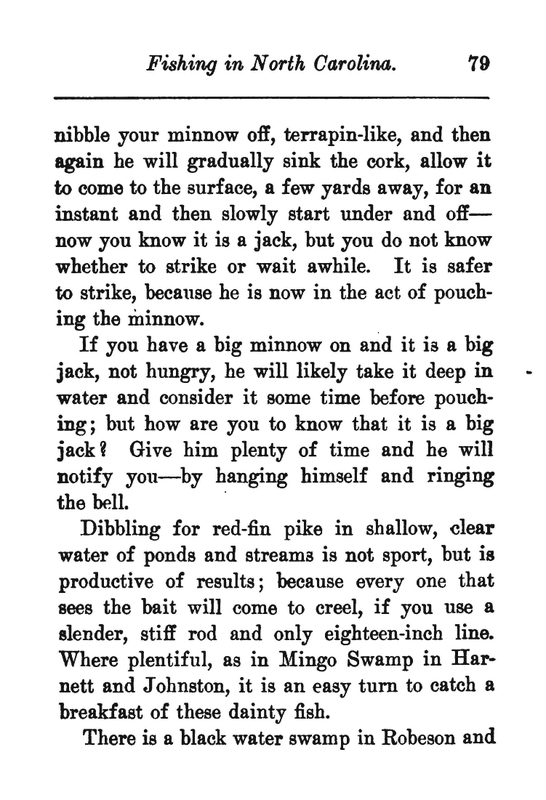 It is readily captured with minnow bait, or with a trolling-spoon, and will also take a fly. It is often caught with a hook through holes in the ice in winter, and affords a valuable food to many an Indian hunter in the Canadian woods. This destructive fish has greatly decreased in numbers in this state during the last twenty-five years. [p. 274] It…has but few rivals as a food fish among our fresh-water species. Its flesh is white and firm, and of a flavor to satisfy the most fastidious. 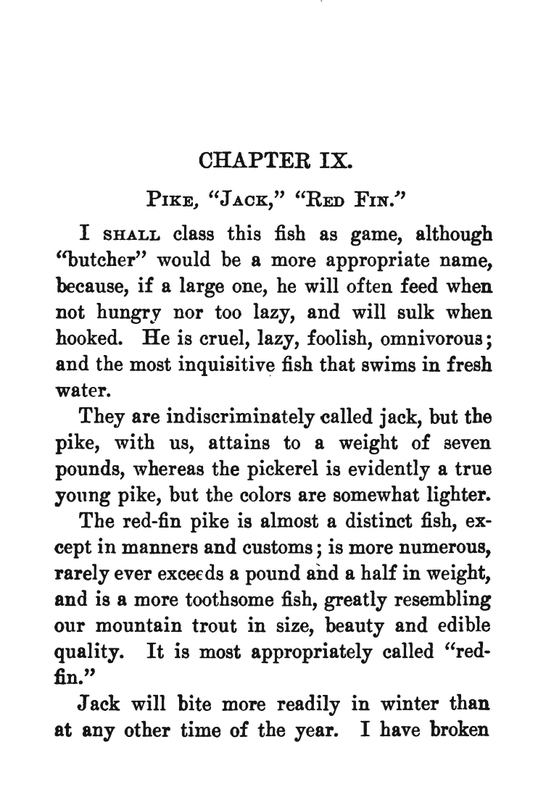 It is also a game fish of the first quality, in the opinion of most anglers, and but little inferior to the black bass.… The species is hardy and prolific, and it is a desirable fish for clean lakes and clear rivers, provided these contain a continuous abundance of otherwise useless fish for its food. 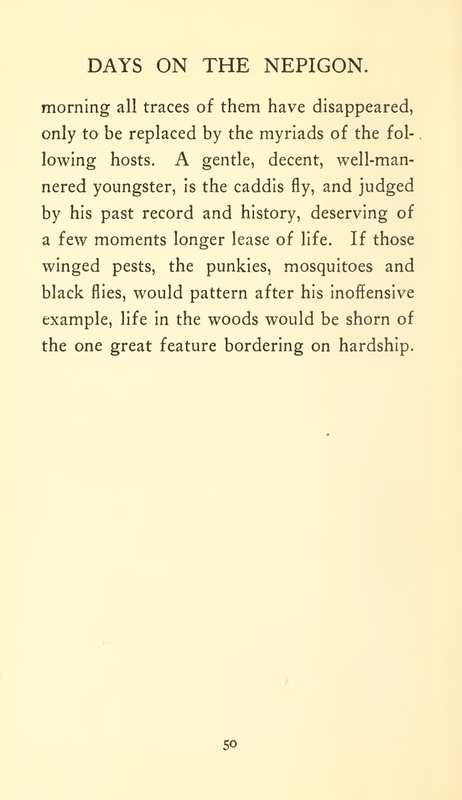 Anyone who has made it this far will enjoy Millard’s poetic (and, according to him, “unbiased”) diatribe against the pike and pike-perch. Go ahead and laugh at his outdated attitudes, but remember: almost any opinion you hold and consider absolutely up-to-date and enlightened right now will one day look tiny and old-fashioned. Your children will laugh at your insistence on fishing for only a few species of fish. While you watch “A River Runs Through It” for the 1325th time, they’ll make critically-acclaimed indie films about heroic gar-fishing trips and take your grandkids to a heartwarming, big-budget Disney movie about and amazing dog and two cute kids who stop an evil land developer and save a river full of redhorse (in the process also saving their parents’ marriage). For fullest effect, read Millard aloud with a snooty, upper-crust accent. Imagine you are addressing a sportsman’s society in an exclusive club. You are dressed in tweed and smoking a pipe. There is a fire roaring in an enormous fireplace, your audience is seated in deep leather armchairs, and silent porters serve ancient whiskey and fine cigars. In the years since the club was built (by an oil baron, I presume), no woman has ever entered this room (or any part of the building outside the kitchen and dining room). No one stops to consider that anything here will ever seem old-fashioned. Dockery requires a different voice and setting. I’ll let you decide what it is. Prepare to be jack-rocked. * Now that this is on my list of things to look for as I work my way through the bookshelves, I’ll make sure to add a comment to this post or write a new one when I find relevant material. Tagged bowfin, fishing, gar, old books, pike, prejudice, suckers, trout, voracious, walleye.